Whether you are working with The Creative Bar or another agency, be prepared to answer a lot of questions! The best research always starts with the client. While this may seem a bit tedious at first, try to remember that collaboration generally results in authenticity. Agencies or contractors that present you work without doing their homework are often presenting something that’s visually attractive, but not necessarily true to your organization. Finding an authentic voice for your company. Let’s face it, if you knew exactly what you needed, you wouldn’t be coming to us in the first place. So, general Q&A on it’s own just isn’t going to cut it. Some of the most insightful parts of the branding process are the exercises. Together, we’ll learn things about your competition, what makes your brand unique, where there are gaps and opportunities in the market, and what your brand’s personality would be with or without you at the helm. Because after all, if your brand is only effective when you’re in the room, you’re going to have a short run. If it were up to us, the entire process would be called “the fun part”, but we can’t argue with the sparkle in our clients’ eyes when we begin presenting them with deliverables. 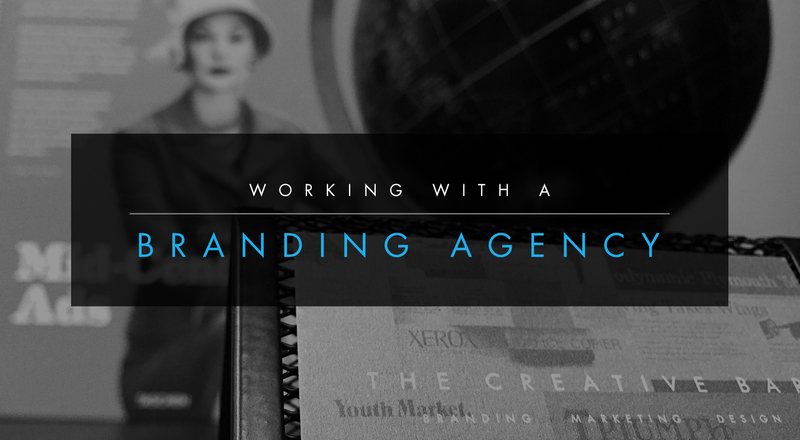 Step by step, you’ll begin receiving completed work on your brand’s identity, personality, and communication style. Most important though, is that this is done one small section at a time for approval. Each portion of your brand standards guide serves as a foundation for the next, so it’s imperative we build one chapter at a time. Once completed, you’ll truly understand and appreciate your new brand—because you helped build it! Developing your brand with a branding agency before pursuing any kind of advertisement or marketing will ensure you’ve got your competitive advantage, messaging, and visuals down pat before anyone ever has the opportunity to create their first impression about you. Because what’s the point in competing for your consumer’s attention if you don’t have anything impactful to say when you get it, right? Once you’ve completed this process, you can be sure your company is equipped with the tools it needs to confidently enter the market, grow, and ultimately, thrive.